Nida’s Sushi is an unusual place. Tucked away in one of the interior lanes in the North Market complex, Nida’s Sushi feels like it is in a different country entirely. With cramped counter space, countless porcelain cats strewn across the counter, and people working hard in a tiny kitchen area, you feel like this place would fit comfortably in just about any side street off the Ginza. Nida’s offers sushi, soups, curries, traditional oriental fare, and a curious selection of other foods. This is your place to visit if you want to get a large can of fiery wasabi peas, seaweed salad, squid salad, sweet rice cakes, or bags of unknown snacks. And the beverage cooler features the most eclectic offering of refreshments you are likely to find anywhere in Columbus. 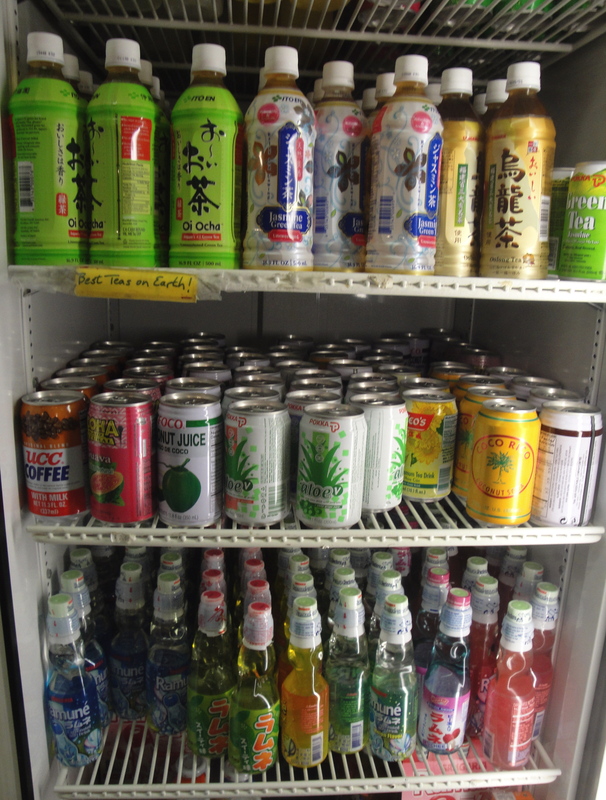 The drinks come in just about every color of the rainbow — although green seems to be especially popular — but I don’t know precisely what flavors are available because many of the containers have only Japanese labels. Some of the packaging makes the drinks look disturbingly like bottles of mouthwash. Perhaps for that reason, I haven’t been brave enough to reach into the cooler, grab a drink at random, and take my chances. The food is pretty good and reasonably priced. 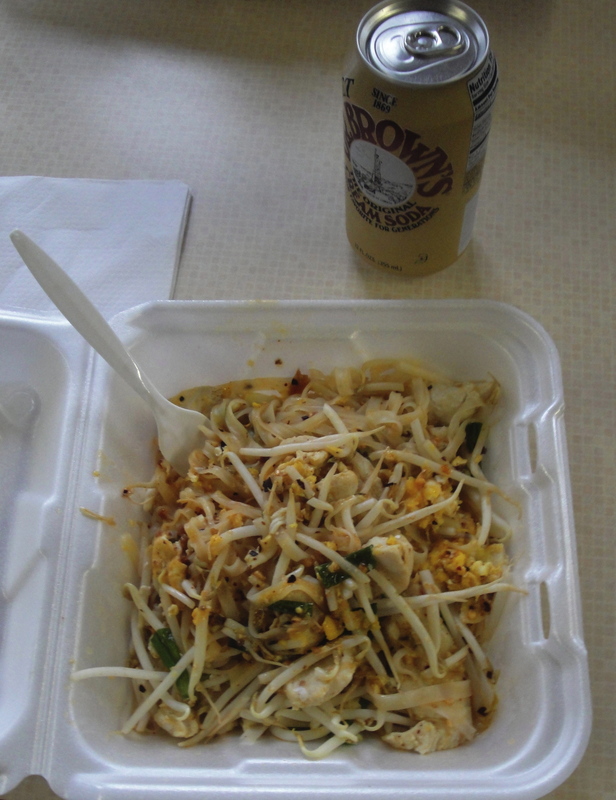 I particularly like the chicken Pad Thai, which is served in a no-frills styrofoam container with a plastic fork. For only $7.25, you get a large portion that is chock full of well-flavored chicken, noodles, egg, peanuts and crunchy bean sprouts. The sign above the counter says the Pad Thai is the “best authentic in Columbus.” I don’t know whether that is true or not, but it is tasty. Add a diet Dr. Brown’s — or, if you are a more adventurous type, one of the unknown liquid concoctions from the colorful cooler — and you’ve got a good North Market lunch.